Pseudopanax are evergreen shrubs or trees which grow in the New Zealand native bush and forests, and, of course, in the Moosey garden. Shrub or tree? Take your pick - a Pseudopanax tree can be transformed in a flash (with a little help from saw, loppers, and secateurs) into a luxuriant shrub. 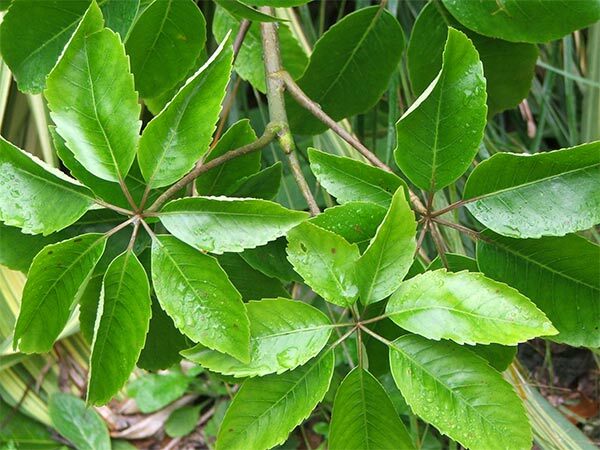 The type of Pseudopanax I grow is Pseudopanax arboreus, and I have several varieties. The bronze leaves of Pseudopanax 'Nigra' create colourful foliage interest in my Dog Kennel garden. I planted the cultivar 'Gold Splash' to lighten up the darker interior of the Wattle Woods. I also have plain green vatieries all around the garden, and even some younger shrubs in pots. Bargain bin Pseudopanax plants often start off their long lives in a large pot somewhere. Then, when a space in the garden is found, in they go! They are easy growers, as long as the frost isn't severe. 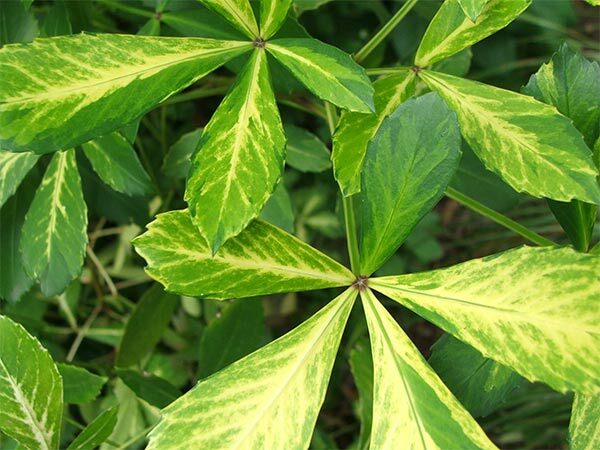 The leaves are glossy and mathematical in shape, with most having five distinct fingers. Pseudopanax are popular in New Zealand ornamental gardens, often taken completely for granted. They have the gloss of Camellias and the strength of Rhododendrons - but alas no flowers to speak of. 'Five-finger' is our pet name for these shrubby trees. So if ever a New Zealand gardener gives you the five-fingers... smile and thank them! Observant readers will count seven fingers on the photograph above - this is allowed!